As a movie lover, you need center channel speakers to bring you the dialogue of the movie and all the sound effects happening in the middle of the image. 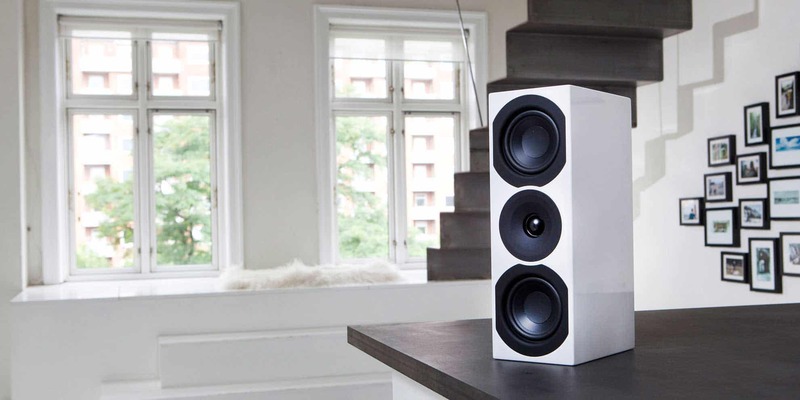 At System Audio, you will find center channel speakers with a focus on the sound experience at– which, however, also are created in simple Scandinavian design. That way, you don’t have to compromise neither on the sound nor the aesthetics in your living room. Good sound and great images go hand in hand, and to movie lovers, a grand acoustic image is just as decisive as razor-sharp image quality in high resolution. You know the feeling of goosebumps in the theatre when the movie reaches its climax. But why limit that experience to the darkness of the cinema? With the right speakers, you can take the sound experience of the cinema with you home. Center channel speakers reproduce more than half of the movie’s audio track and are, therefore, an essential element if you want a nuanced sound experience, in which especially the dialogue is clear in the sound. At System Audio, we are in it for the sound, and our customers love fantastic experiences with music and movies. That is why our range of speakers have been thoroughly tested by brutally honest film- and music lovers with the same high quality demands as our users – and who prioritise sound and design equally. That ensures that you only find center channel speakers in nice Danish design of the highest quality when you shop with us – no plastic sound or half-hearted products. To achieve the ultimate sound experience, we recommend that you choose a center channel speaker with the same sound as the front and back speakers of your surround sound system. Otherwise, you won’t get the full capability of your newly bought center channel speakers. If you have any doubts, you are, of course, most welcome to contacts us. We are mad about good sound, and therefore, we are always ready to help others.